Like so many other 3D artists, I came to this field being a long time lover of fantastic fiction, be it in the form of books, movies or comic books. In my case, I’ve always leaned more towards science fiction, although I do enjoy other genres within fantastic fiction. The point here is that there are two things that can’t be missing in a science fiction loving artist’s list of projects: starships and robots. I created my first starship design a year ago, so it was just a matter of time before I faced my first robot design. I guess this has taken me so long because after my starship scene, I dedicated myself almost completely to rendering and lighting and the creation of procedural shaders, leaving very little time to build up my modeling skills. I wanted to change this and create a robot I could proudly present to the world, so I embarked two months ago on a project I have been constantly abandoning and reviving ever since. My first big roadblock was to determine the design style. 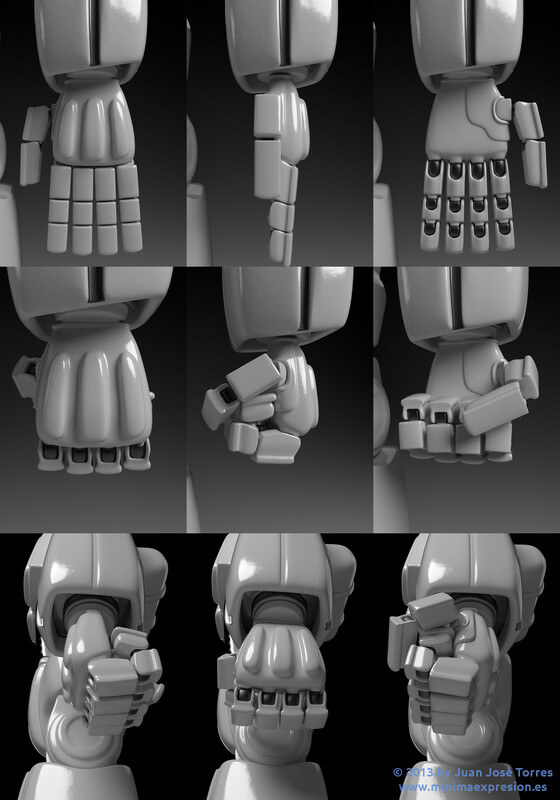 I started to model blindly, without any kind of reference or previous sketching, which led me to create a lot of different pieces and components that looked rather good, but were not what I had in mind. 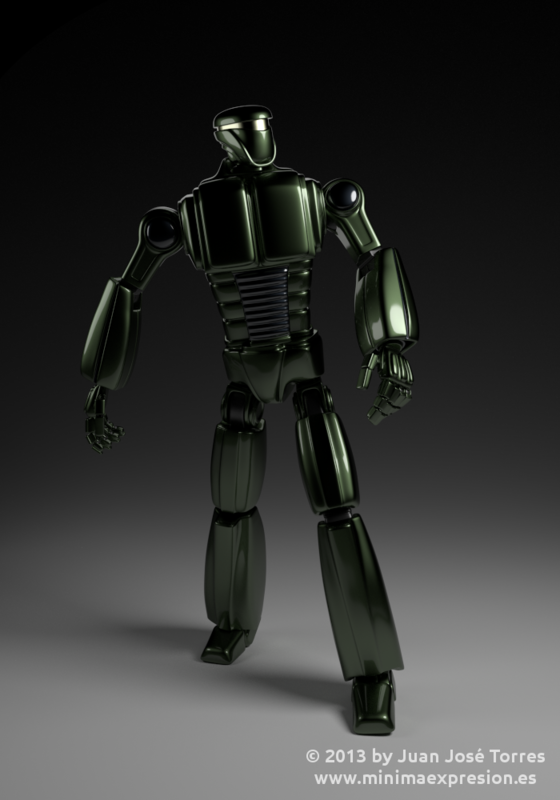 The only thing that was clear to me was that I wanted the robot to be mechanically believable, so I wasn’t going to build it as a continuous single mesh that would deform when animated. Instead of that, I had decided to build each part separately. This, coupled with the fact that I had trouble setting a definite style, caused most of the pieces to match awkwardly or not at all, resulting in a very poor overall look. After many fruitless efforts, I had the first of two revelations that would help me set a viable workflow: start designing the head, and once you have one that you are happy with, let it dictate the rest of the design. Final shaders will probably look very different, but I kind of like this provisional look. 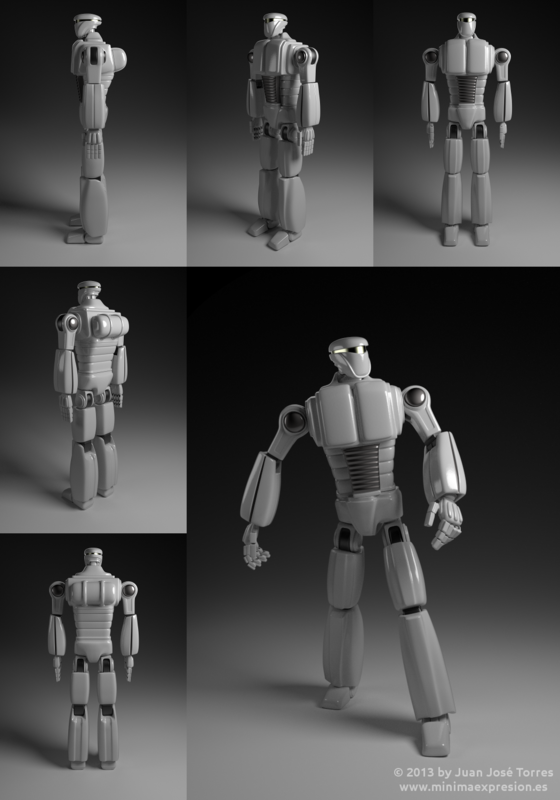 Posted in Blender - 3D Art and tagged blender, model, modelado, render, robot. Hoy, saltando de web en web, y por youtube, buscando tutoriales, he dado con tu web. AL FIN UNA WEB EN ESPAÑOL. Y con contenidos, y de una persona que enseña lo que aprende. Gracias.